Do you want professional drawings for your pre-engineered restaurant fire systems and industrial fire systems without the need to install and learn Restaurant Fire System CAD Software? FireSystemDrawings.com is here to help. 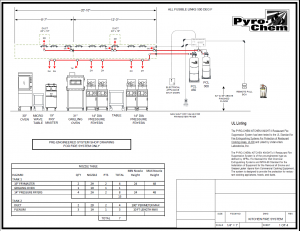 Our expertise is in producing professional looking and accurate drawings for your pre-engineered fire suppression system projects. Our 25+ years of producing these drawings will enable you to project that professional appearance when supplying your drawings at a fraction of the cost of buying, installing, learning, maintaining and licensing software from any other vendor. We’ve invested the time and expense in the software and drafting experience so you don’t have to. 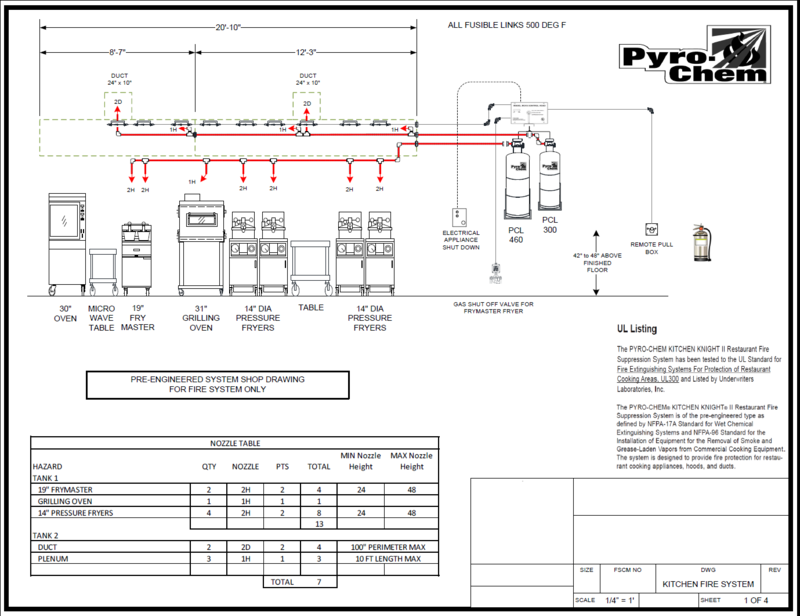 We can provide you with drawings for all brands of pre-engineered fire systems without the need to license separate software modules or packages for each manufacturer. Please check out our samples, our ordering info and give us a call if you have any questions. We’d be glad to discuss your needs and how we can help you!